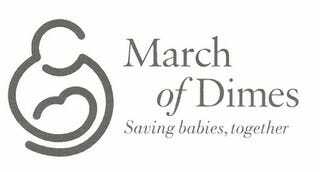 The "March of Dimes" campaign created by the National Foundation for Infantile Paralysis was both groundbreaking and immensely successful. It was one of the first such efforts to take on the funding of health research and awareness not as a task for wealthy families, but as the duty of every American regardless of wealth or status. It was, appropriately, Rooseveltian. Because of its operating style, and the use of celebrities, it achieved its goal of raising public awareness and creating a vaccine to fight polio. It's a model followed by organizations today, including one just created by Novaload and targeted at Jay Leno. Did you know that thousands of Jalopniks will go to bed tonight without ever having ridden in a perfectly restored Citroen DS or even touched a Mercedes 300SEL 6.3? Some have never seen a lead sled in person or opened the door on a 55 Roadmaster. Those of you blessed with a stable of cool vintage machines, please remember the less fortunate, especially during this holiday season. Won't you please consider fostering at least one Jalopnik? It costs you nothing but a little time, some gas money, and a hefty liability rider on your insurance, but isn't giving what it's all about? Jalopniks are available individually or in sets in a variety of sizes, colors and flavors. You'll receive a photo of your little Jalopnik and a personal thank you note from Mr. Wert, who allows nothing but well mannered, or at least well meaning, often sober, dragons to reside here at the Jalopnik Academy. So, please, won't you think of fostering a Jalopnik today?